From clay tablets to the cloud, accounting and finance have seen vast changes in tools, methods, and focus since their inception. But they continue to evolve in the face of a changing business environment. Developments in the type and amount of data available to finance professionals, along with powerful new tools used to analyze it, have created a new role for financial planning and analysis (FP&A). Evolving from reactionary to predictive has made finance a guiding hand for strategic business decisions—and senior leaders have begun to expect timely insights, creating pressure for teams. In this blog post, we trace key historical developments that created the modern financial planning and analysis function. we examine new expectations and challenges facing FP&A professionals, and strategies for meeting these expectations. Given the importance of goods and trade to human civilization, it’s not surprising that bookkeeping and accounting date back to the beginning of recorded human history. Rudimentary accounting documents have been found in the ruins of Mesopotamia, Babylon, and other ancient civilizations dating back thousands of years. Known as the “Father of Accounting and Bookkeeping,” Italian mathematician and Franciscan friar Luca Bartolomeo de Pacioli described the double-entry accounting system in his 1494 book, Summa de Arithmetica, Geometria. Proportioni et Proportionalita. The system included most of the accounting cycle as we know it today and described the use of journals and ledgers, with account categories still used in balance sheets and income statements. Obviously, there were many developments following Mr. Pacoilo, but let's fast-forward to the 20th century, when three major milestones laid the foundation for today’s accounting and modern finance functions in the United States. In 1913, the U.S. ratified the 16th Amendment to the constitution, creating a federal income tax. The amendment forced individuals and companies to improve record keeping, but there was considerable confusion as to how this should be done. As a result, in the Federal Reserve Bulletin of April 1917, the Federal Reserve issued "Uniform Accounting." While the bulletin purported to promote accounting uniformity, it left the majority of accounting choices to professional judgment. Finally, following the stock market crash of 1929, the U.S. Congress passed the Security Act of 1933 and the Security Exchange Act of 1934. The acts prohibited deceit, misrepresentations, and other fraud in the sale of securities. It also established the Security and Exchange Commission (SEC), giving it broad powers to oversee and regulate the securities industry. The Exchange Act also empowered the SEC to require periodic reporting of information by companies with publicly traded securities. These few points in history illustrate the foundation for the general practices of accounting, as well as the impetus for the modern accounting and finance function in the U.S. But what about the ways modern FP&A practices are accomplished? As accounting practices have evolved since its origins, so have the tools used for calculating and analysing accounting data. The first calculating machine, called the Sumerian abacus, dates back nearly 5,000 years, and was used for addition and subtraction. Nearly three millennia passed before French mathematician Blaise Pascal invented the first mechanical calculator, called the Pascaline Calculator, in 1642. Nearly two centuries later in 1837, British engineer and inventor Charles Babbage conceived and designed the first general-purpose computer, dubbed the Analytical Engine. And in 1946, professors J. Presper Eckert and John Mauchly of the University of Pennsylvania invented and built the first electronic digital computer called ENIAC, which stood for Electronic Numerical Integrator and Computer. The introduction of the Intel 4004—the world’s first commercially available microprocessor chip—by Intel Corporation in 1971 set the stage for a boom in computer development that continues to this day. Software tools began to emerge as a result of that boom. In 1978, VisiCorp released VisiCalc, the first electronic spreadsheet for the Apple II. VisiCalc, which stood for visible calculator, was a game changer that enables users to create custom reports and perform numerical analytics. As a result, it quickly became the must-have software for the Apple II. Five years later, Lotus Development Corporation launched Lotus 1-2-3, an integrated solution that handled spreadsheet calculations, database functionality, and graphical charts. The program quickly eclipsed VisiCalc and became the must-have software for the IBM PC. Lotus acquired VisiCorp two years later, discontinued its product lines, and Lotus 1-2-3 became the industry standard. But not for long. Microsoft® released its first version of Excel for the Macintosh in 1985. Over the next decade, Excel® and Word® came to dominate the market for office software, and until recently, remained the predominant tools for FP&A reporting. The most pertinent recent development is Big Data, i.e., massive data sets used to reveal patterns, trends, and associations. It’s fair to say that we are living in the era of Big Data. As former Google CEO and Alphabet Executive Chairman Eric Schmidt eloquently characterized the situation, "There were 5 exabytes of information created between the dawn of civilization through 2003, but that much information is now created every 2 days." Why is the history of finance relevant? The milestones above helped create today’s modern finance function as distinct from the accounting function. If we look at the two, clear differences emerge. Accountants describe the present reality of a company's finances using historical information. They are more interested in the specific and exacting details of day-to-day operations along with financial accuracy and taxes. By contrast, financial analysts tend to work with an overall picture. They consider past and current trends to help the company achieve a future reality. They are storytellers who use numbers as their language. They review financial decisions based on current market trends, stated business objectives, and possible investment options. Financial analysts build off of accountants' work. Until fairly recently, financial analysts' work focused on understanding underlying business systems, recording and processing transactions, and reporting financial results. If we were lucky, we could add value through analyzing results via high-level ratios and industry comparisons—and there were always 10-Ks and 10-Qs, the raw materials of finance, that needed to be analyzed and understood. Prior to the advent of computers and spreadsheets, financial planning and analysis was, to be honest, kind of boring. Financial analysts needed more data to analyze in order to provide more benefit to a company. The good news is we got it. Modern finance professionals have moved beyond the basics of number crunching and reporting. They have become gatekeepers. True strategic partners. In that capacity, they provide insight into the future by connecting the dots and unlocking value. They balance yesterday, today, and tomorrow. They help drive accountability and transparency, and in doing so, help ensure the competitiveness of your company. It’s fair to say that modern FP&A professionals no longer just report the news but help make the news. Senior management expects them to be the brains and provide the right information to keep the business firing on all cylinders. Their job is to provide Smart Data, i.e., data that can be turned into actionable insights and enables management to effectively solve their business problems. Though today’s expectations for FP&A professionals are high, the reality of situation is sometimes quite different. Here are some of the frustrations that I often hear when speaking with our customers. – I’m struggling to live up to management’s expectations. – I feel reactive versus proactive. – I simply don't have enough time or resources. – There's too much bureaucracy to overcome. – We are tasked with competing priorities. – There are too many challenges, and the environment is getting more complex. – I don't really have support from my leadership. – We lack the technology we need to do this. Rest assured. You are not alone! There are a host of challenges that financial professionals must confront, including technology shortfalls, data access issues, and problems with data integrity. According to a recent report from the American Productivity and Quality Center (APQC), 62 percent of modern financial planning and analysis staff are buried in basic duties with no time for more analytical work. In fact, a survey of FP&A professionals conducted by gtnews found that 66 percent of financial professionals spend more than nine hours a month on non-value added activities. 65 percent of survey participants also said they needed to improve trust at their workplaces, and 70% said collaboration also needed to be improved. If finance is to be effective and add value across the enterprise, it must first demonstrate efficiency and value within its own business processes. To do that, financial professionals need to reengineer their organizations' key finance processes. Reengineering is the critical path to freeing up resources, so that finance team can focus on more value-added activities. Since there will be little or no additional money in the finance budget this year, reengineering processes for greater efficiency is the main way to free up funds for investing in value-creation processes while demonstrating continued commitment to maintaining a competitive cost structure. The basics of process improvement have not changed—initiatives in this area should strive for ever greater standardization, simplification, and elimination of non-essential activities. In short, to modernize the finance department, management must leverage technology. The primary tools used by FP&A professionals, e.g., email, desktop word processors, and spreadsheets, were never designed to handle today’s reporting and analysis requirements. Rather, they hinder us from achieving our expectations and objectives. Using the right tools can make all the difference. But what should you look for in that solution? Below are three key functionalities to keep in mind as you assess what is right for you and your team. The first focus should be to make collaboration an everyday activity. The solution should provide an environment where you can leverage certified and trusted information, to publish to narrative reports, dashboards, workbooks, and presentations. You should have one active document that allows geographically distributed teams to work together to build a cohesive story for management, stakeholders, and the board. You should also be able to combine financial and nonfinancial data in one location to connect silos of information across the enterprise. Second, focus on accuracy by creating a single source of truth. Use your new solution to establish a linked approach to the source data and all its destinations. If the source changes, all associated data points should change with it. Accuracy then becomes an attribute, not a task. As a result, the most up-to-date data will always be reflected. Click here to see how a single source of truth can be created. Finally, worry about the future, not the past. Use a solution that has a comprehensive audit trail. You should be able to accurately collect disparate data, know where its coming from, know where it eventually travels to, and know when it changes. 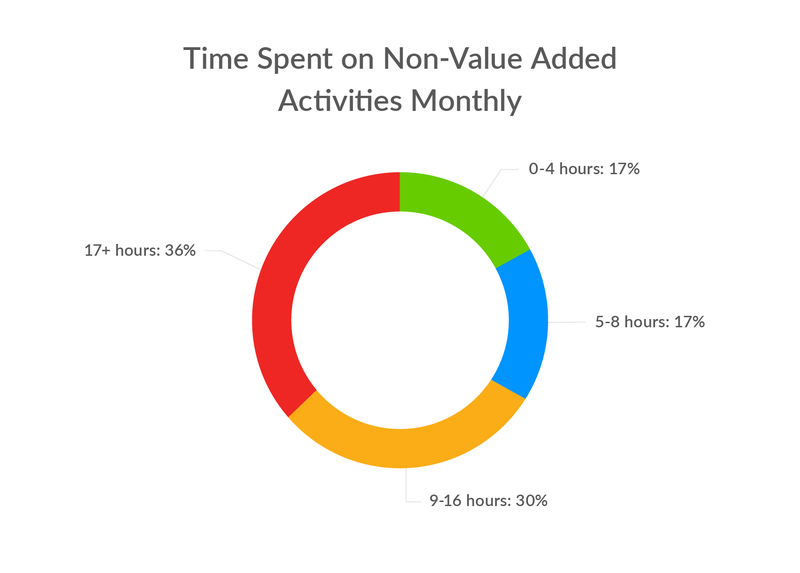 Following these guidelines will help you to get rid of those non-valued added activities and focus on what matters. In summary, we have come along way—from clay tablets, to papyrus, carbon copy papers, and the cloud. This history and evolution of finance has given us greater responsibilities. We have ambitious goals and lofty dreams that we want to live up too. Assume that you have the ability to positively rise to every challenge before you, and do it. Then, reallocate that time you’ve freed up to do something impactful. Find out what technology other modern financial planning and analysis professionals said they're are looking for in a recent gtnews FP&A Technology Survey. Microsoft, Excel, and Word are registered trademarks of Microsoft Corporation in the United States and/or other countries. Mike Rost is a key contributor to product strategy at Workiva and works with business leaders in the areas of financial reporting and compliance. With more than 25 years of experience assisting organizations using technology to optimize business processes, Mike has an extensive background in finance and accounting, corporate performance management, and GRC technology. Mike was a founding member of XBRL International with involvement in the XBRL initiative dating back to 1999. He has also been active in industry associations, including the Open Compliance and Ethics Group (OCEG) and the Institute of Internal Auditors (IIA). Mike has a bachelor's degree in economics and an MBA in marketing and finance from the University of Minnesota.